David Asper’s giving reflects his belief that society must be ever-vigilant in safeguarding its rights . In 2006, the federal government cancelled the Court Challenges Program, which had helped fund challenges to government legislation that potentially could infringe on language and equality rights protected by the constitution. A Winnipeg-based criminal defence lawyer-turned-businessman, David Asper, was working on his Master of Laws at the University of Toronto at the time. He was concerned—though not so much about the program’s cancellation as about the government’s role in funding those challenges in the first place. “Government funding of Charter challenges and constitutional litigation seemed to be an inherent conflict of interest because government can giveth and government can taketh away,” as Asper put it. If you were successful against the government on the grounds the government was offending the Charter of Rights and Freedoms, the government could respond by eliminating the funding for the challenge, he argued. Asper’s response to this constitutional “conflict of interest” was to give $7.5 million to U of T’s Faculty of Law to establish the David Asper Centre for Constitutional Rights. The centre, which is unique to the U of T Faculty of Law, is devoted to advocacy, research and education in the area of constitutional rights in Canada. The cornerstone of the centre is a legal clinic that brings together students, faculty and members of the bar to work on significant constitutional cases. Under the leadership of Executive Director Cheryl Milne, the Asper Centre has built a reputation for authoritative contributions to constitutional law in Canada in its first 10 years of existence. Its impact and activities include no less than 20 interventions at Supreme Court proceedings and 46 constitutional roundtables. “I’m actually amazed at how much they’ve done in a relatively short period of time,” says Asper. “It takes a while to start a centre, and then it takes time to earn credibility across the country and with the courts. 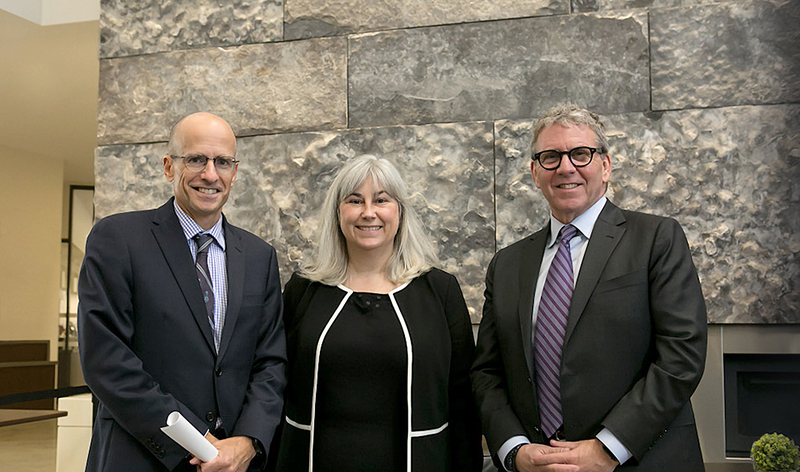 It’s very impressive how they’ve been able to do that.” At a tenth anniversary event at the Faculty of Law in October 2018, he announced an additional $2.5 million gift to the centre for a bursary as well as to guarantee the future of the centre.